RussJones.Us: We're Going To Do What? We're Going To Do What? Judges 7:8 So the people took provisions in their hands, and their trumpets. And he sent all the rest of Israel every man to his tent, but retained the 300 men. And the camp of Midian was below him in the valley. The enemy army is below him, 9,700 Israelites who don't qualify to lead the charge behind him, Gideon gives his 300 a trumpet and presumably a clay pitcher. 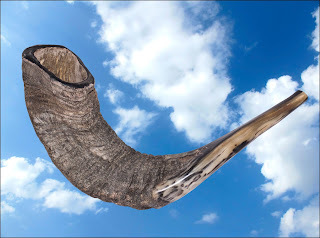 We can only assume that God had already told Gideon to given them a ram's horn. But notice, Gideon does not instruct them as to what they are supposed to do with it. Honestly, I don't think that Gideon knows either. So we are going to go into battle with no swords, no chariots, no spears, no shields, just trumpets. If you're one of the 300, what would you do? Would you say, "Um Gideon? Thanks but no thanks." Would you say, "Hey! Could we get a new general here! This one is nuts!" Would you say, "I could do a better job of leading these troops, I'm in charge." Would you say, "Great, we're all going to die!" Thus demoralizing the troops. It is in situations like these that you have to make choices by faith, not by sight. We don't know what the 300 did or said, but in the end, they chose to follow Gideon.